Looking for a gift for a loved one who has diabetes, or just shopping around for diabetes essentials? 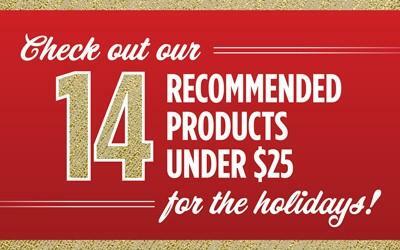 Check out this roundup of some our favorite items that can be found on Amazon this holiday season. Yomandamor Bamboo Diabetic Socks are made from a combination of bamboo and elastane — materials that wick away moisture, are wrinkle-resistant (which means less chance of chafing or abrasion), and are free from seams. Bamboo also has anti-microbial properties, preventing bacterial and fungal infections, and minimizing foot odor. These socks are comfy, too, with extra cushioning and a non-binding top that stays up. Yomandamor Bamboo Diabetic Socks are available for both women and men, and come in a variety of sizes and styles, including ankle, low-cut, crew, and knee-high styles. Whether you’re relaxing at home or out and about, Yomandamor bamboo diabetic socks will keep your feet safe and healthy.